Fifty years ago, the Congress of Racial Equality (CORE) issued a declaration for black power. This pivotal moment shaped the organization's direction toward black economic development and opened new doors to government and community partnerships. Jomo Kenyatta, first Prime Minister of independent Kenya, adopted "Harambee" as a concept meant to inspire community projects and initiate national development. It is not clear how CORE was inspired by the Kenyan model. However, the organization embraced the idea for its own purposes and the term became a conceptual framework for its own community economic development ideas in Cleveland, Ohio. Harambee City, both this site and the corresponding book, uncovers and examines this part of CORE's history. 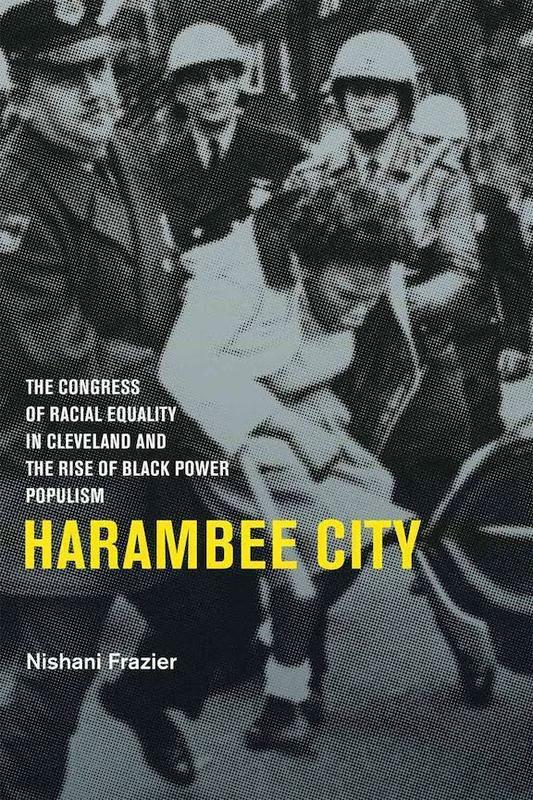 Harambee City: Congress of Racial Equality in Cleveland and the Rise of Black Power Populism is a monograph that explores the underlining conditions that led to Black Power’s rise in CORE and Cleveland’s relationship to this transition. There has been no holistic study on CORE for thirty years. My book corrects the organization's early history, reasserts the powerful and positive contributions of black power within the organization, and challenges previous assertions by historians that its leadership rubber-stamped Richard Nixon's black capitalism concept. Swahili word meaning to pull or work together; Known as a Kenyanmotto meant to encourage self help and nation building; a concept borrowed by the Congress of Racial Equality for its black power project in Cleveland. Swahili word meaning to display or lay out wares; to speak out; to spread out; to unpack. Download LAYAR app and scan book cover below to experience AUGMENTED REALITY or click on the image to purchase the book! While the book summarizes CORE history from early formation to the 1970s, the website expands public understanding about CORE, black power, community organization, and economic development through access to primary sources, teacher resources, and mapping. It also acts to recover and extend access for future scholars and other interested persons. African American Studies, public history, and oral history methodologies played central roles in the recovery of this fairly unknown period in CORE's existence. However, this approach also required a philosophical embrace of power sharing and open access during and after historical production. This process eventually became a model for intersecting Black Scholarship and Digital Humanities. HARAMBEE CITY digital archives and website is a creation of Dr. Nishani Frazier, Associate Professor of History at Miami University. Elias Tzoc of Miami University and Markus Wust of North Carolina State University Libraries co-developed and designed the site. The website is hosted and maintained by the Center for Digital Scholarship at Miami University. This website and its content therein are copyrighted 2016.